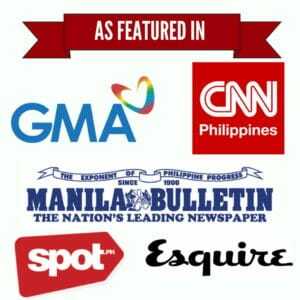 Editor’s note: This work was republished with permission by the Manila Bulletin. This is the original article. If worst comes to worst, we often hold on to something to keep our sanity intact—whether a prayer, a comfort food, or even a self-help book. Mine is the nostalgic memories of my childhood, encapsulated in the soothing melodies of my mother’s lullaby. Despite being deprived of words, the music she whispered not only lulled me to sleep but also gave me a comforting assurance that things, no matter how bad, would turn out otherwise. Fast forward to today, the same lullaby now permanently etched in my mind serves as my refuge from the stresses of life, taking me back to the age of innocence when everything was pristine and my mother the center of the universe. In the early 1940s, Lucio San Pedro recalled the same familiar sounds. Born and raised in what is now considered the “Art Capital of the Philippines,” Angono, Rizal, Lucio remembered being put to bed by the calming tune created by his mother. Unbeknown to him, the same sounds would finally take shape years later, giving the Philippines its unofficial national lullaby and a timeless message of motherly love that transcends different generations. Born on Feb. 11, 1913, Lucio was the fourth of eight children of Soledad Diestro and Elpidio San Pedro. Soledad came from a musically inclined family: Her father, Rafael Diestro, who was Lucio’s earliest musical influence, played the church organ while her mother sang in the choir. Not surprisingly, the young Lucio grew up learning how to play an array of musical instruments—from violin and the banjo to the Filipino banduria and octavina. By the time he was a teenager, Lucio succeeded his grandfather as the church organist and joined the Angono Municipal Symphonic Band, which was founded by his father, to further hone his gift in composition and conducting. Determined to carve a career out of music, he entered the University of the Philippines Conservatory of Music as a scholar. Under the tutelage of nationalist composers like Antonio Molina, Lucio grew more as an artist, winning different accolades both during and after his collegiate years. With a teacher’s diploma, he later earned a faculty position in the composition department of the Centro Escolar University. He also served as the conductor of the Musical Philippines Philharmonic Orchestra. 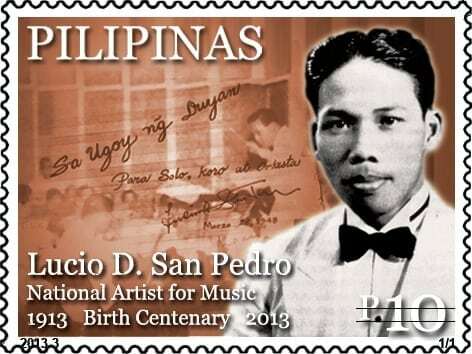 In 1946, his tone poem Hope and Ambition won a special prize in a composition contest held to celebrate the inauguration of the Third Philippine Republic. The victory made him a scholar of the Filipino Youth Orchestra, enabling him to study at the Juilliard School of Music in New York City in 1947. From then on, Lucio had seamlessly embraced his roots and injected his personality into every music he created, earning him the title “Creative Nationalist.” Using the language that the common people easily understand, Lucio created an impressive body of work that has stood the test of time. The year was 1948. Lucio left New York for his motherland on board the ship SS Gordon. With him was a composition originally written for a government-sponsored contest 10 years earlier, but never came to fruition for lack of lyrics. It was based on the melody that his mother, Soledad Diestro, used to hum to put Lucio and his siblings to bed. It was, for all intents and purposes, his only remaining link to his lost childhood, a tribute to his mother’s pure love that always brought him back to his roots. As fate would have it, Lucio finally found his lyricist on the same ship. Levi Celerio, who would later become celebrated as the “world’s only leaf player,” boarded SS Gordon when it anchored in Honolulu, Hawaii. “Mag-ina sa Tabi ng Duyan.” Painting by Nestor Leynes. Celerio was with a group of Filipino musicians who recently staged a performance in the said city. Taking into account the composition’s original inspiration, Levi Celerio magically poured words into the paper, giving birth to a bittersweet song created just as much for adults as it is for children—“Sa Ugoy Ng Duyan” (The Sway Of The Baby Hammock). Awit ng pagibig habang ako’y nasa duyan. Puso kong may dusa’y sabik sa ugoy ng duyan. By the time the ship arrived in Manila, “Sa Ugoy Ng Duyan” was finished. What started as a melody from a lullaby evolved into an endearing song about one’s longing to a time when our mothers’ voice and the gentle rocking of the hammock were enough to pacify our restless spirits. The time we’d never think twice revisiting, if only we could turn back the clock. Since its conception, “Sa Ugoy Ng Duyan” has been played in various forms and venues, leaving many listeners teary-eyed. First performed by classical singers Aurelio Estanislao and Evelyn Mandac, the song is now interpreted by an endless list of popular idols, finding a new audience from different social classes and walks of life. It also became the fourth part of the Suite Pastorale, Lucio’s 1956 musical piece that vividly depicts the beauty and romance of his hometown, Angono, Rizal. Lucio San Pedro, or “Maestro” as he was fondly called, produced several compositions after “Sa Ugoy Ng Duyan.” But it’s this masterpiece that he will always be remembered for. Proclaimed a National Artist in 1991, the Maestro spent his last days composing or conducting symphonic poems near the lake, undeterred by the advertisers and establishments who selfishly used “Sa Ugoy Ng Duyan” without his permission. He died in 2002 of heart attack, a few days before his fellow National Artist and collaborator Levi Celerio succumbed to multiple organ failure. Both pillars of Philippine music, these two men left us with a legacy immortalizing a mother’s unconditional love. A love that inspires and keeps our feet on the ground. A love that can move mountains and bring out the great in us. Soledad Diestro must be smiling from above.